The beautiful island of Bora Bora is quite tranquil and in my opinion, one of the most beautiful places on earth. 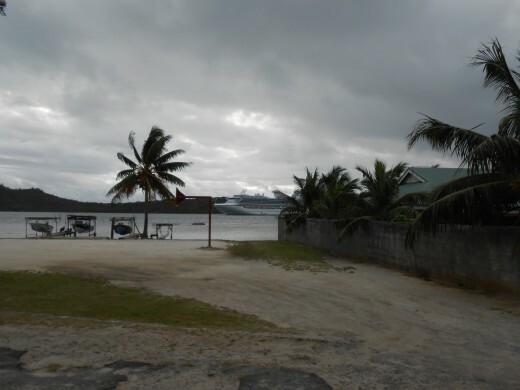 The island has a population of approximately 9,000 people, but this population swells during the tourist season. 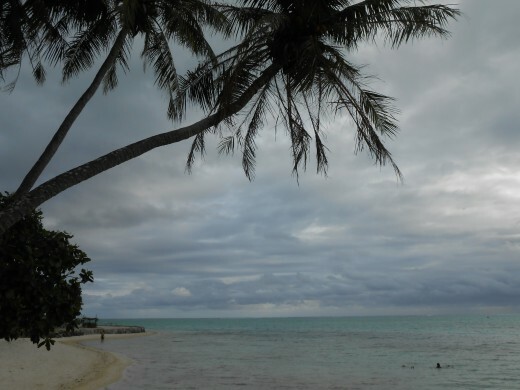 The island has seven tourist resorts, and most natives that do work are employed in the tourism trade. 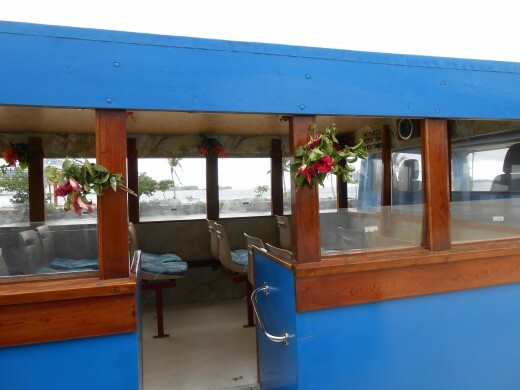 Tourist jobs include working at a resort, in a restaurant, or on an island tour bus. 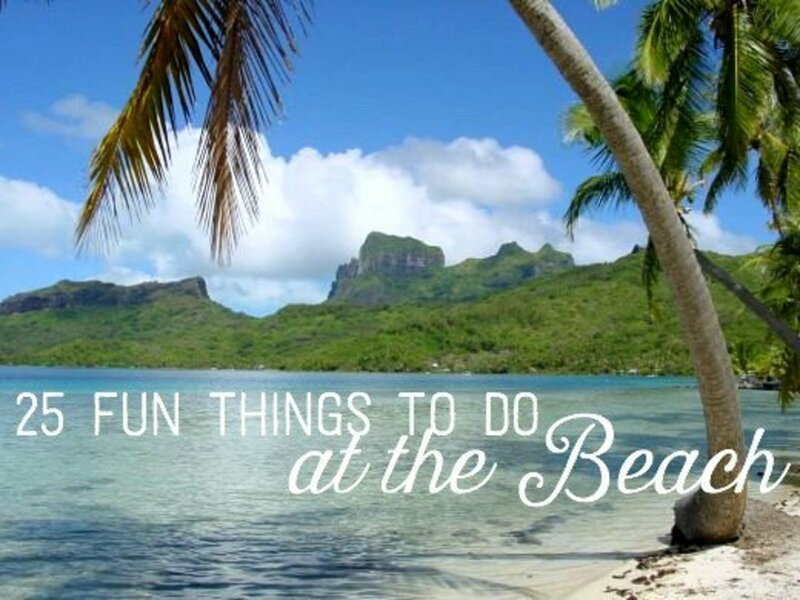 Most people in Bora Bora speak French or Tahitian. 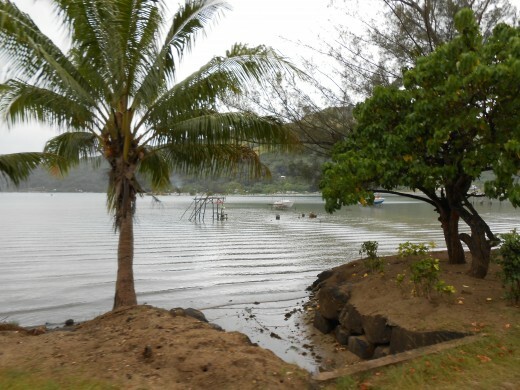 Because tourism is the main source of the economy on the island, English is also spoken most places and definitely by all employees in the tourism trade.The island natives are influenced by the Polynesian culture. 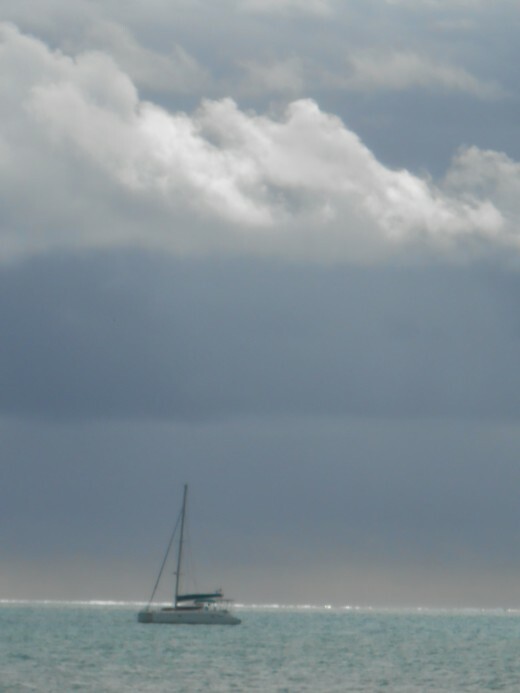 My husband and I recently went on a cruise that stopped in Bora Bora, and I was amazed at the beauty and the simplicity we observed there. Our tour guide met us at the pier and from there we were transported by a colorful, simple bus with plastic seats and open windows around the island. 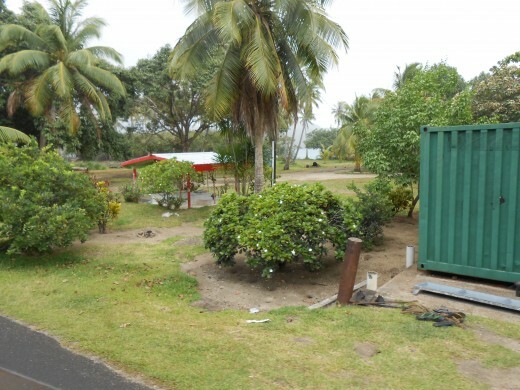 As we were given a tour of the island, we were amazed at all the simple little huts made of cement and grass or tin roofs that whole families lived in. When asked about the economy of the island, our guide told us that most people on the island work in some form of tourism, but that there were some people that didn't work at all. They were still able to support their families because all that is truly needed to live a good life in Bora Bora is a home and a boat! 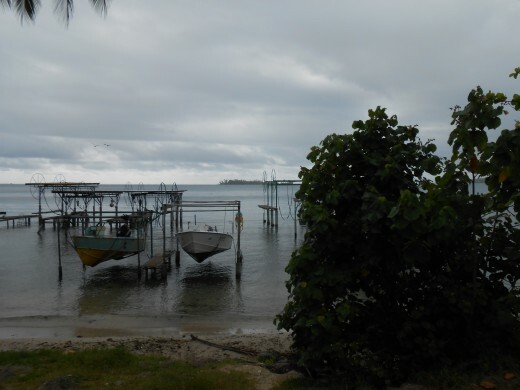 Most families own a fishing boat and go out during the day to catch fresh fish to eat. The region is tropical, so there are many fruit trees with fruit plentiful for picking and eating and serving at meals. As long as a family had a boat, they will survive. Gas is 10 U.S. dollars per gallon, which is why there are much more scooters than cars on the island. During the tour, we were able to stop on the side of the road and throw out flowers which had been attached to the sides of our tour bus. 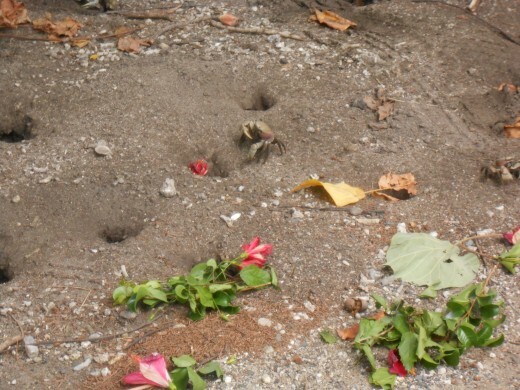 I originally thought they were just there for decoration, but as we threw the flowers on the ground, we were able to watch numbers of land crabs come out of their holes, grab the flowers and drag them back into their holes to have as a meal. There were also stops along hillsides and on beaches to take pictures of fantastic views that I am quite sure the natives take for granted, but to visitors seemed spectacular. In the United States, to have a home on the shoreline would cost millions of dollars but to most of the natives here, the land their homes are built on has been handed down for generations so comes into their possession for free. One of the few tourist spots, other than the resorts on Bora Bora, is the restaurant, "Bloody Mary's." 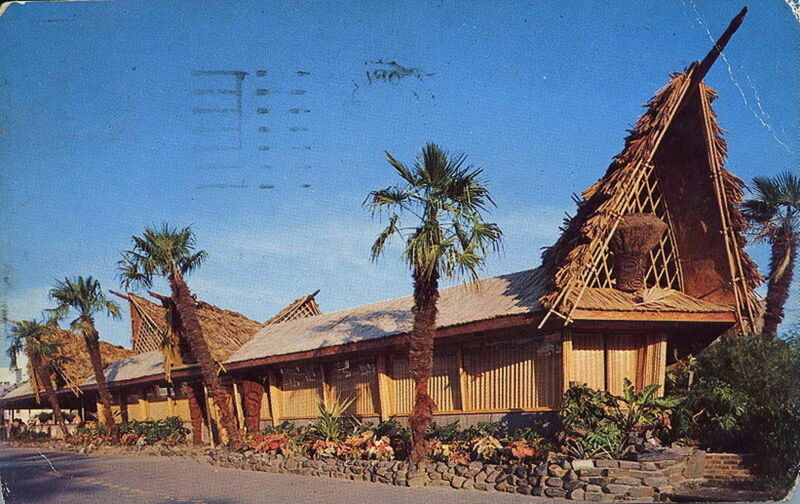 From the outside, the building has a Polynesian look to it, but inside, it is a nice restaurant, with tables covered with white tablecloths. The fun thing about this restaurant is that you can take your shoes off when you get inside because the floor is covered with sand, and the sides of the restaurant are open. Many famous entertainers have stopped by Bloody Mary's during visits to the island. And dinner is the fresh catch of the day, which is laid out on ice for people to choose what they want. The food and drinks are quite expensive in Bora Bora but for the tourist looking for something different to do, a stop at Bloody Mary's will provide a memorable experience. There are beautiful resorts on the island of Bora Bora. 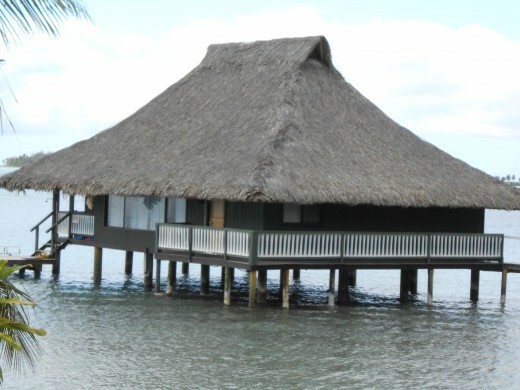 Tourists can choose to stay in a hotel, or a hut situated over the water. Bora Bora is an island of beauty and simplicity and a stop I highly recommend for anyone going to the Polynesian islands. I have cruised on Princess cruise lines, Norweigian cruise lines and Holland America Cruise lines. 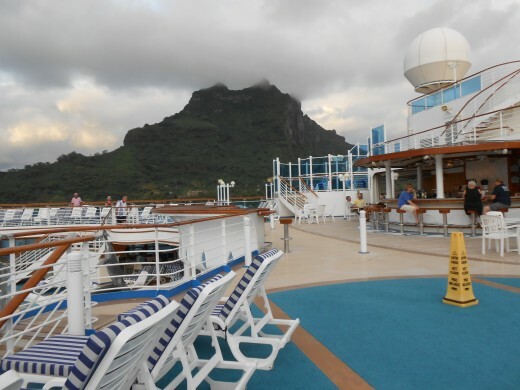 I am now addicted to cruising vacations and this article gives explains my top 15 reasonswhy. During a trip to Hawaii recently I was blown away with it's natural beauty. This photo essay shows why it's so beautiful. 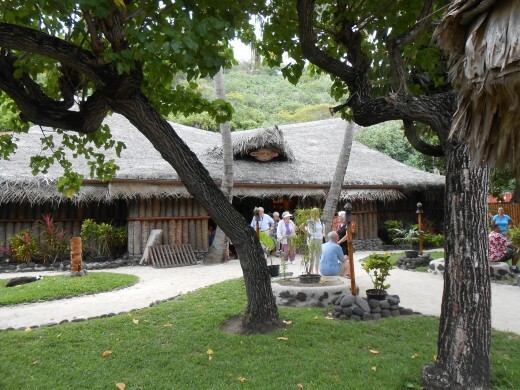 Robert Louis Stevenson built a mansion on a Samoan island. Today this mansion is a main tourist attraction for those visiting near the city of Apia in Samoa. 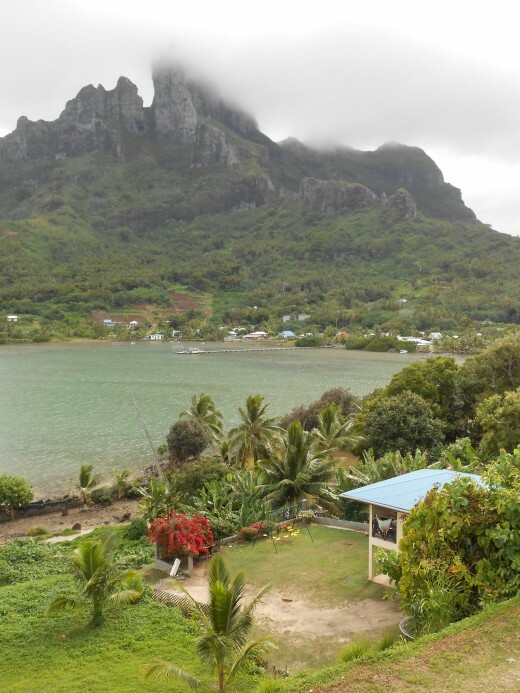 If you get a chance to go there, also try to visit Moorea, which is nearby and although more populated, even prettier in my opinion! Thanks for stopping by. That is the beauty of travel, you get the chance to talk with locals and find out more about their way of life. Thanks for dropping by and commenting. Hello fellow hubber. I do not have interest in visiting this place, but the lifestyle of the people does seem interesting. They live off the land and might be true naturalists. I would love to chat with some locals to learn about their ways. It is truly beautiful. I am pretty sure the natives don't realize how beautiful their island is compared to the rest of the world! Thanks. I love my new camera because it does take great pictures. My husband gave it to me last year for my birthday specifically so I could take better pics for my hubs. What a guy, huh?! 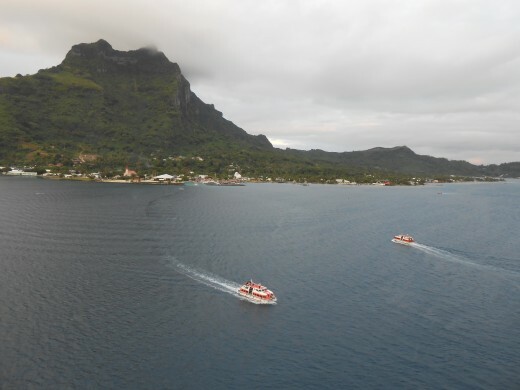 I am working on a hub about Moorea which is even more beautiful than Bora Bora. Stay tuned...! Amazing images. Providing dinner to the crabs by tourists is interesting. The island looks so fantastic and worth paying a visit. 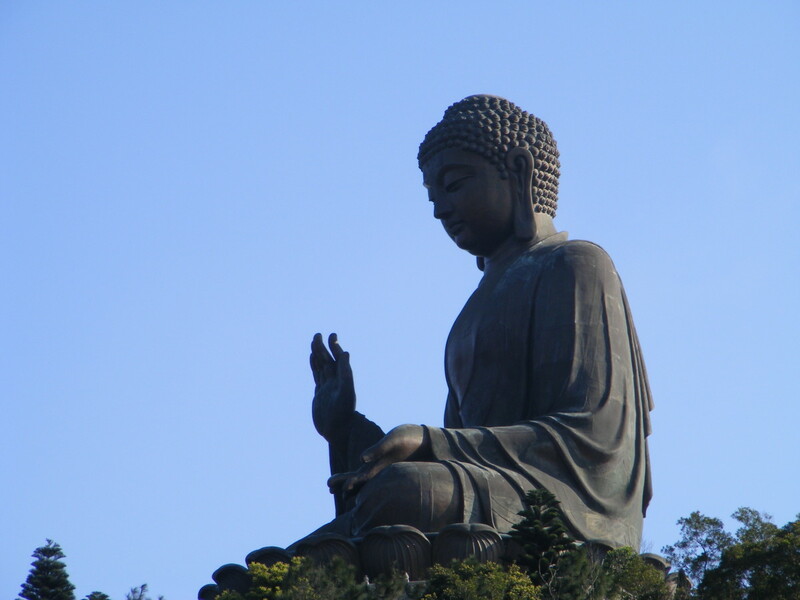 Thanks for sharing this beautiful destination and the photographs. Thank you. I was quite impressed with their way of life. It left an indelible mark in my mind. Thanks for commenting. A beautiful hub. You described the way of life of native islanders so well. Wow Hawaiian Scribe, thanks for the votes and the tweets and pin. I greatly appreciate it. Yes, I sure am living the dream. Still hoping for the total dream...writing from home as a full time job, but hopefully that will come! Thanks for stopping by. Pretty spectacular, Karen! You are living the dream my friend. You and me both! Although I do like fruit. We could become vegetarians together on Bora Bora!!! Thanks for reading and commenting. Spectacular hub with spectacular pictures. This sounds like a wonderful vacation spot. Dreamy to think of even living there, aw, except I don't really care for fish! I'd have to eat what flowers the crabs leave behind -LOL. Thanks so much for being the first to read and comment. I added that in there about the native people because I was so shocked at the living conditions in Bora Bora. I thought most of the natives were poor because they lived in the small huts and wondered how they supported themselves but the tour guide assured me they are very happy just existing in this land of beauty and living off the land. This is a wonderful hub that, along with the beautiful pictures, entices one to follow suit and book that cruise. Much of this is reminscent of Kaua'i. 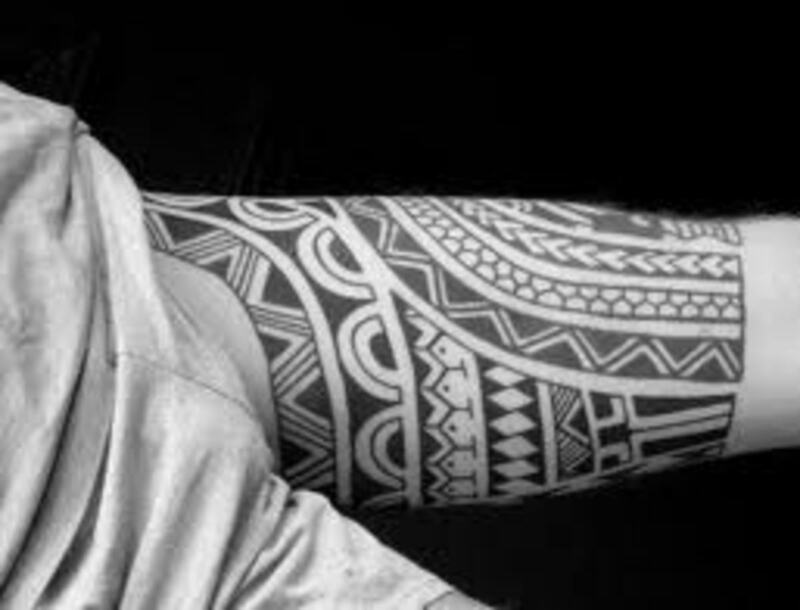 I thought it was a nice touch for you to speak of the local people that aren't tied to the tourist industry and how they're self-sufficient by living off the land and sea...the way of the ancient Polynesians. Thanks for sharing!